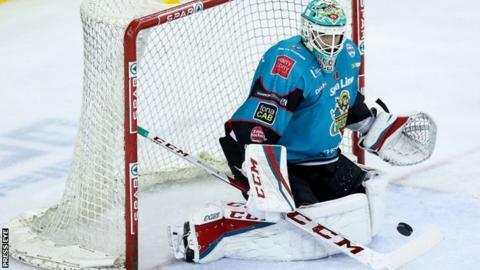 Belfast Giants' netminder Tyler Beskorowany has been named Elite League player of the year. Beskorowany has helped Belfast clinch the Elite League and Challenge Cup titles this season and he was also named netminder of the year. The Giants' successes this year also saw Adam Keefe winning coach of the year while Darcy Murphy was named forward of the year. The Giants face Cardiff Devils in the play-offs final on Sunday.